While there’s plenty of fun to be had with our own Pradera amenities, endless recreational opportunities surround us on every side. When you feel like exploring more of nature’s beauty, take a hike in Castlewood Canyon State Park (only 15 minutes away), or slip on your running shoes for a cruise down Cherry Creek Trail. Living at Pradera, you’ll be close to the Parker Recreation Center, a state-of-the-art facility with an indoor pool and water slide. The center also boasts a sauna, triple gymnasium, three multipurpose rooms, extensive cardiovascular and weight equipment, aerobics facilities, cycling studio, sports and fitness classes, an inline hockey rink and a skateboard park. And for outdoor play, the adjacent Challenger Regional Park has three lighted ball fields, a children’s playground and several multipurpose sports fields. The Parker Field House, also just a few short minutes from Pradera, offers 100,000 square feet of recreation, including batting cages, gymnasiums, an inline rink, climbing wall, elevated track, fitness loft and an indoor playground. In the summer, the nearby Parker H2O’Brien Outdoor Pool offers two exciting 182-foot water slides, a waterworks play structure, a spray garden, a circulation and lap pool and a shade pavilion. The town of Castle Rock, located just south of Pradera, is home to the Castle Rock Recreation Center, offering a 25-yard swimming pool, gymnasium, extensive cardiovascular and weight equipment, indoor track, steam and sauna rooms, a fitness studio, racquetball courts and locker rooms. Enjoy some of the best shopping and dining along the Front Range, not far from Pradera, including Park Meadows Mall, the shopping centers along Parker Road and Founders Parkway, and the Castle Rock Outlet Mall. As for dining, you can’t get more convenient – or delicious – than The Club at Pradera. Walk over for a casual meal at the Longs Peak Grill or a fine dining experience at the Mt. Elbert Dining Room. Both venues open up to a covered deck with a panoramic view. 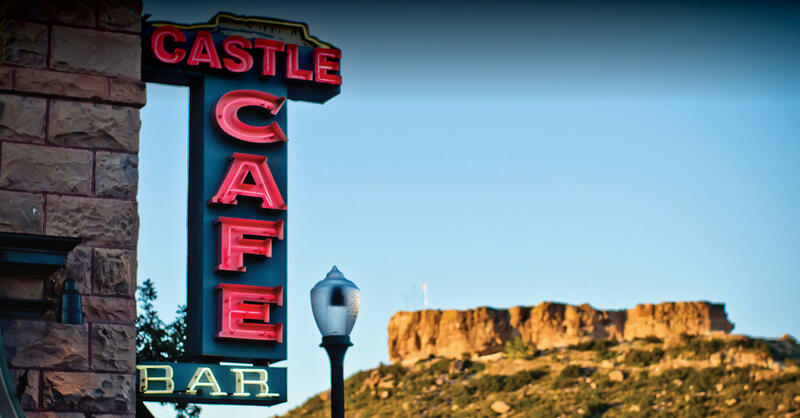 Many other restaurants in Parker and Castle Rock are also available within a 5- to 25-minute drive, ranging from fast food to casual family sit-down restaurants to Colorado gourmet dining at its finest. While a quick drive up to Park Meadows and the Denver Tech Center is always an option, many restaurants are even closer, conveniently located in and around the towns of Parker and Castle Rock.